“We showed them too much respect in the first half” was the honest verdict of manager Darren Marjoram at the end of game in which Ives gave their higher level rivals a two goal start before having a real go in the second period and eventually coming within a whisker of deservedly taking this game into extra time. The visitors set out their stall early as right from the off they looked to bring the ball down and play at every opportunity. The majority of the early exchanges were at the end Ives were defending as they allowed their rivals space to play in although the hosts back line was stretched at times it looked resolute as the Posh tried to play through them. 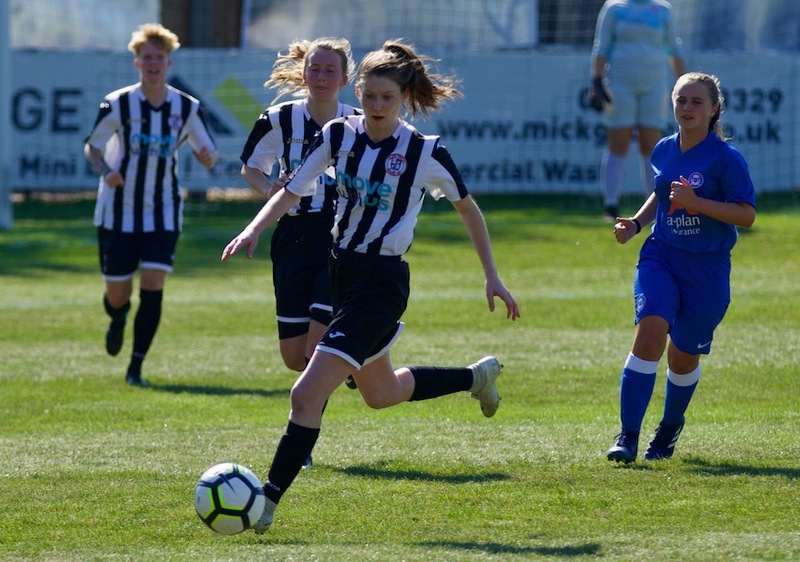 The opening goal came in unexpected fashion as the normally reliable centre back pairing of Ellie Brown and Mollie Flack failed to deal with a hopeful punt down the centre in tenth minute. 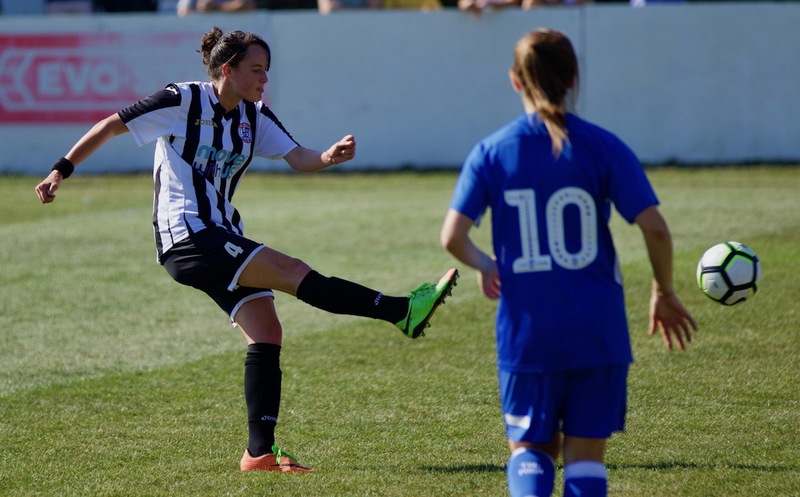 Each left the ball to the other allowing it to bounce deep in Ives territory and as they dallied Hannah Pendred bustled between them and rammed the ball past the exposed Kira Markwell in emphatic fashion from the edge of the box. 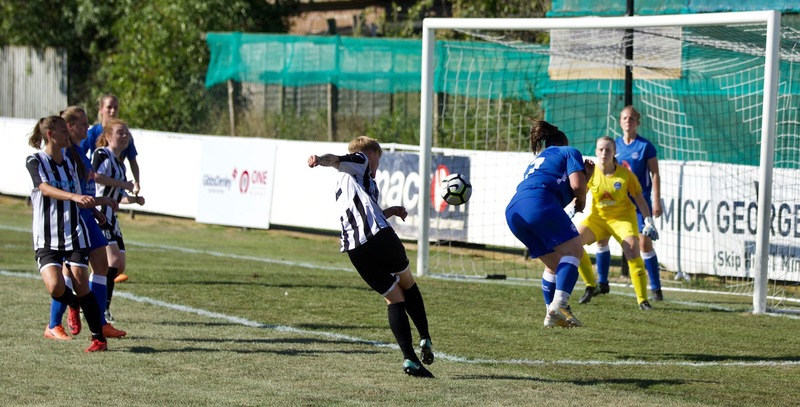 Markwell had to be alert to rush off her line seven minutes later. 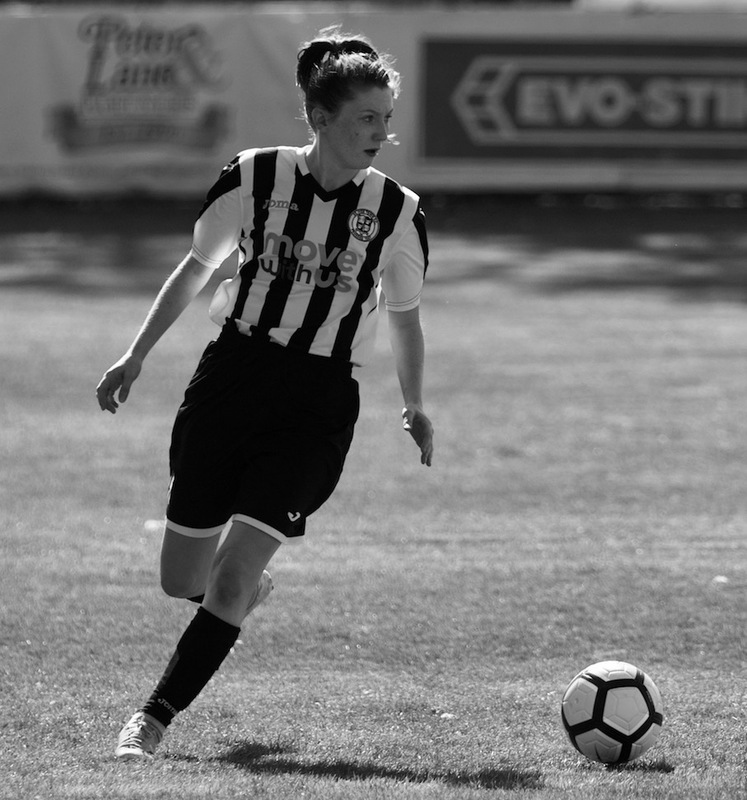 Kier Perkins battled her way into the heart of the hosts defence before flicking the ball through to put Donna McGuigan clear. Fortunately for Ives Markwell just beat the Posh striker to the ball hacking it clear to safety. 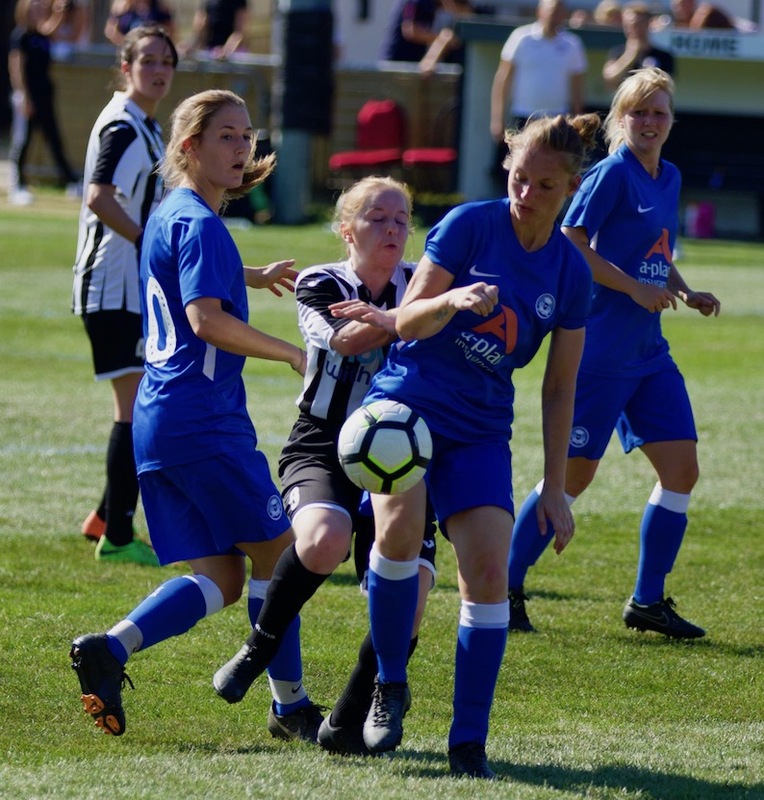 Posh continued to pile on the pressure and Markwell did well again in 19th minute as she leapt to her right to tip away a dangerous in-swinging free kick from the right corner of the box by Stacey McConville. The visitors continued to enjoy a lot of possession but the Ives back line well marshalled by captain Brown began to tighten up although the side generally still continued to give Post to much time on the ball. 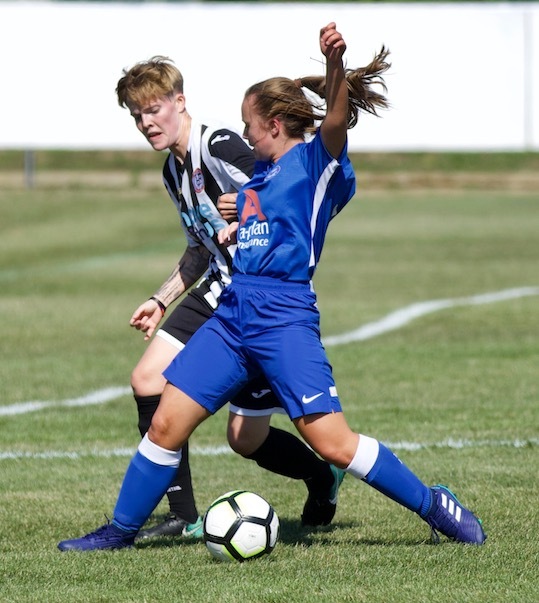 The move that began to spark belief in Ives that they could get something from the game came in 33rd minute as Hannah Seymour-Shove and Katherine Speed combined well down the right with an interchange of passes that took them to the edge of the visitor’s box. A final touch inside teed up Tierney Coulson inside the D. The Ives centre forward stuck her shot well but it was always rising and ended up about a foot over the crossbar. 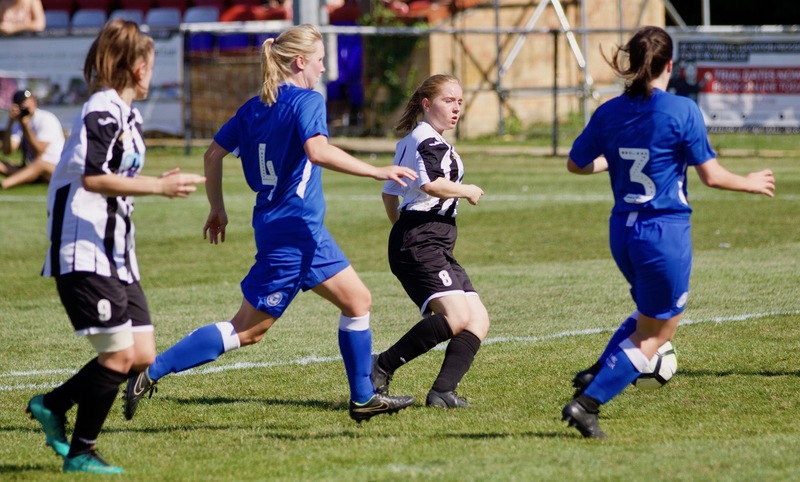 Having gone so close to getting parity Ives then found themselves two behind as Posh broke up an Ives attacked and surged forward at pace the move ending with McGuigan sliding a perfectly weighted pass through the right channel to put Perkins in one on one with Markwell and the visitor’s striker finished well clipping the ball over the Ives keeper as Markwell came to close her down. The belief that started to emerge late in the first half began to blossom in the second period as Ives came out a rejuvenated side and began to take the game to their opposition. 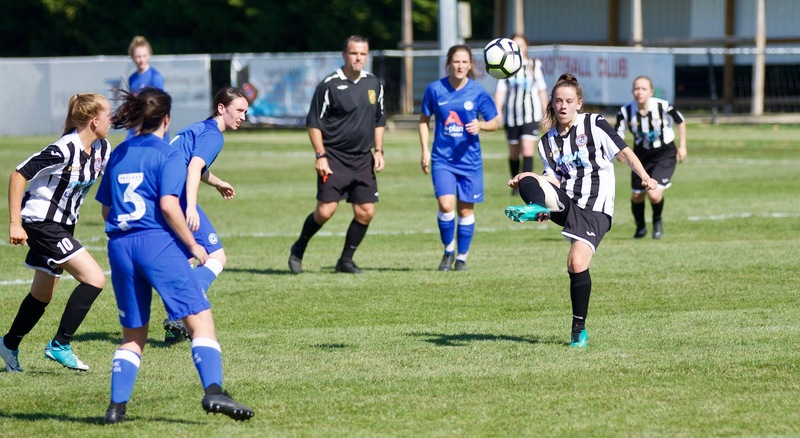 There was an early Posh break as Megan Parfitt got away down the right and cut in but the danger was quickly extinguished as Brown came across and cut out the intended through ball to McGuigan. The game was now much more even and Ives began to create chances of their own. 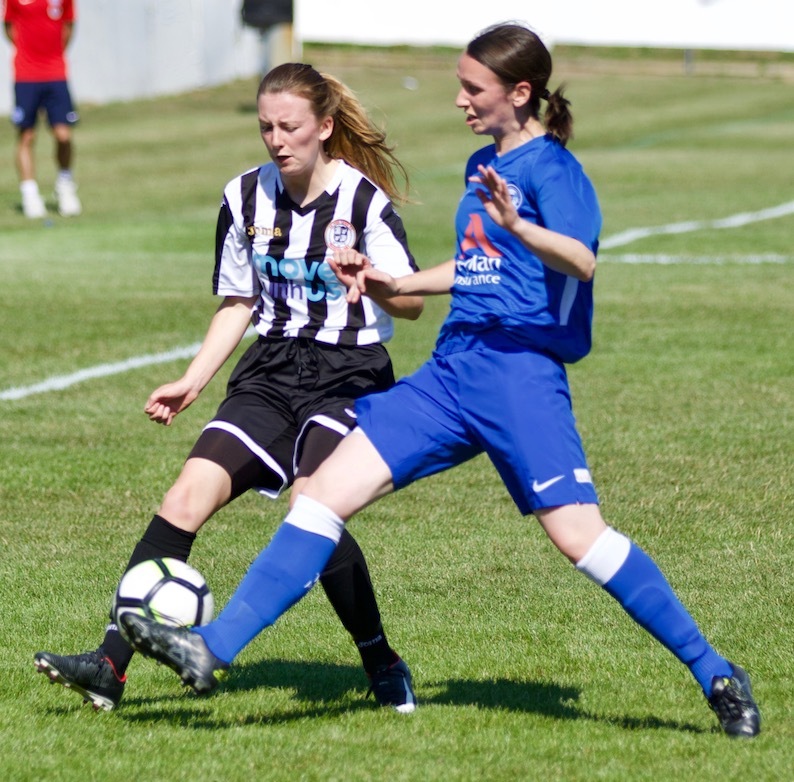 On the hour last week’s heroine Katie Stancombe took on the Posh defence before feeding the ball inside to Hannah Seymour-Shove who in turn fed the ball on to her sister Amy cutting in from the left. 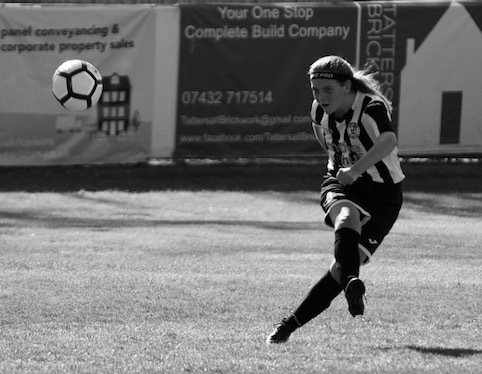 Amy Seymour-Shove took a touch and precisely curled her right footed effort around keeper Sophie Powell but inches wide of the far post. Markwell was called into her first real action of the second period four minutes later as McConville found a little space on the left corner of the box and unleashed a stinging drive that Markwell parried and still retained the presence of mind to bravely pounce on the loose ball just ahead of the lurking McGuigan. 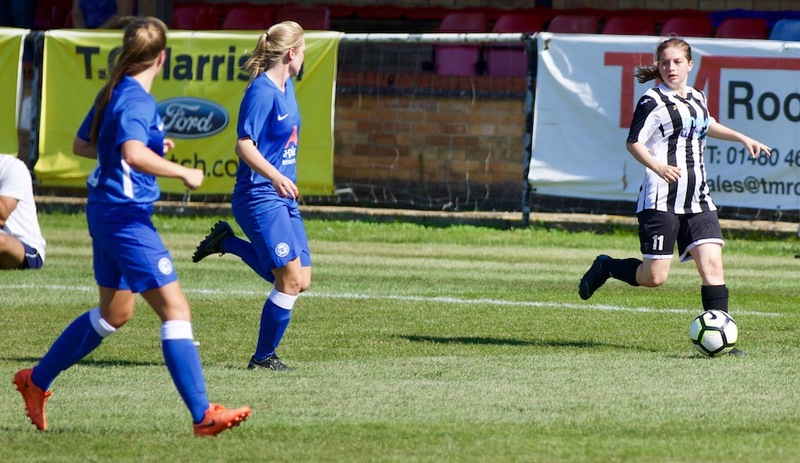 Stancombe’s pace and direct running was causing problems for the Posh defence and she got away down the right again in 69th minute. 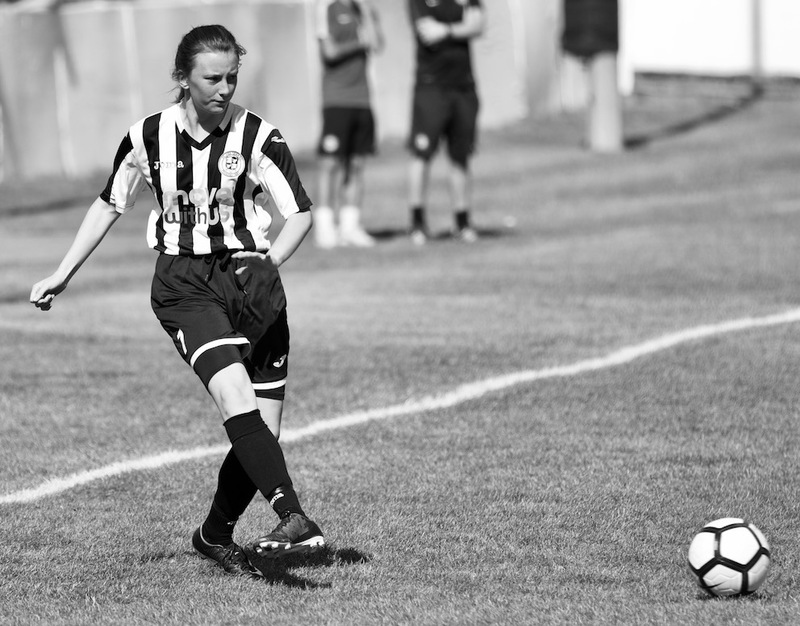 Her pull back found Anna Hicks on the edge of the box but she failed to test Powell with her first time effort that went wide of the keeper’s left hand post. The final effort of the game from Posh came in 72nd minute as McConville struck a powerful 25 yard free kick that Markwell held onto well. 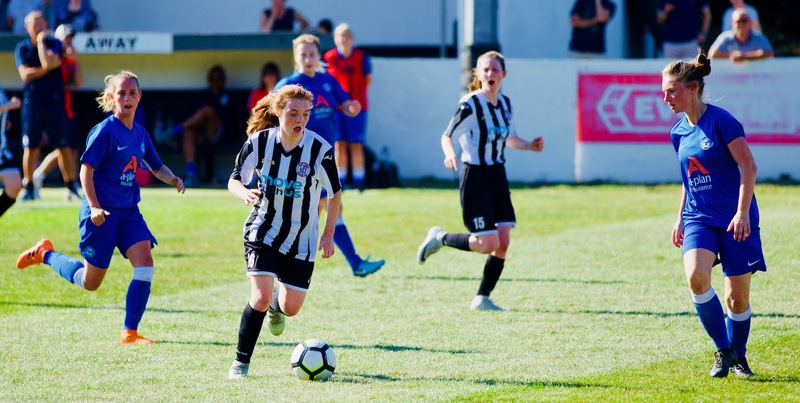 Manager Marjoram played his final card with twelve minutes to go as he scarified defender Sasha Smith and threw on another attacker in Caitlin Jarman. 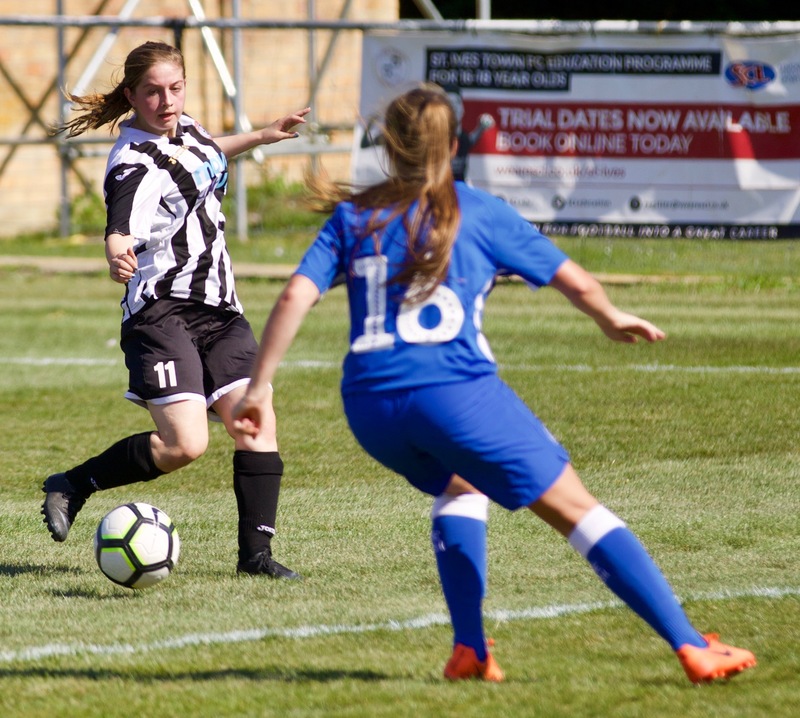 The move had an instant impact as less than sixty seconds later Jarman pulled back a goal with her first touch as she picked up a loose ball inside the Posh penalty area after Hannah Seymour-Shove’s probing run had been halted. The Ives substitute kept her composure and found the bottom corner to make for a very interesting last ten minutes. Ives now pressed forward in search of an equaliser and they came agonisingly close to getting it in 88th minute. Stancombe broke into the box at pace to win a corner on the right. The deep flag kick was deflected out to Hannah Seymour-Shove just outside the visitor’s box wide left as she tried to break into the box past a struggling defender she was brought down. A large percentage of the crowd thought it was inside the box but referee Paul Dobbs gave a free kick right on the edge. 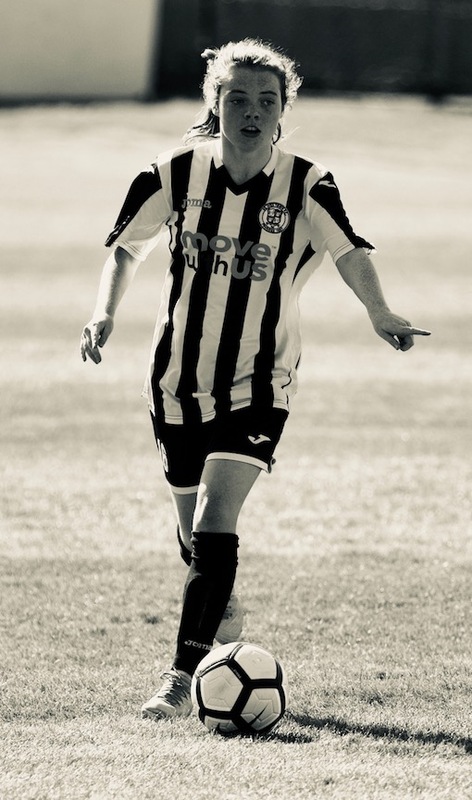 Hannah Seymour-Shove’s free kick beat the wall and keeper Powell but rattled the crossbar and bounced down into the crowded box. Full back Emily Stephenson was first to react and pounced on the loose ball but rifled her effort inches wide of the post. It was a much relieved Posh that saw out the remaining few minutes to progress to the next round. The Ives can feel proud of their efforts and know that they came so close against a good ball playing side. After two very tough cup ties it is back to the bread and butter of the League next week with a trip to Bishops Stortford. Hopefully they learnt a lesson today that if they believe in themselves this side can go far this season.